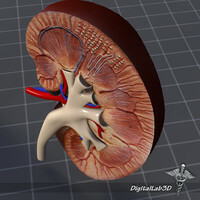 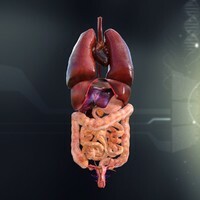 A 3d model of Human Kidney Anatomy. 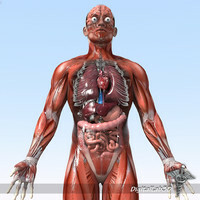 Complete with color map and bump maps. 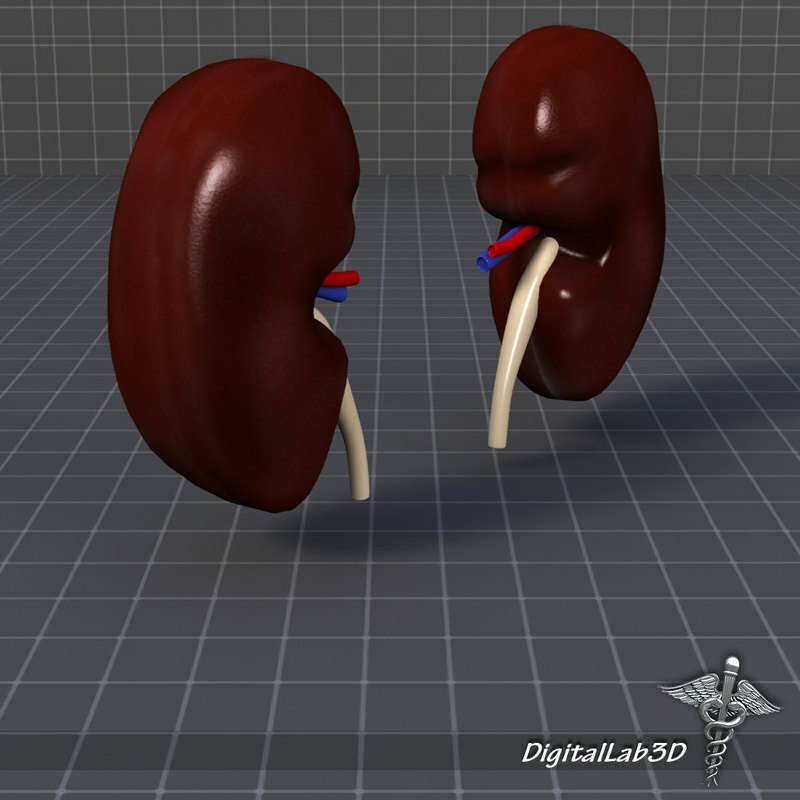 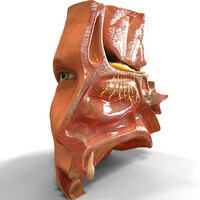 This model is ready for 3d medical animation/presentation. 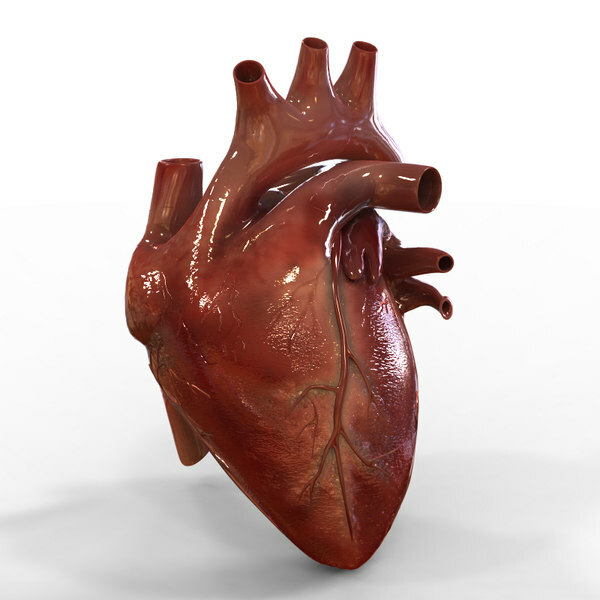 This model is consist of different model conversions such as 3ds, max, maya, lightwave etc. 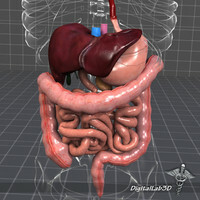 This conversions can be open in any latest or old 3d software package. 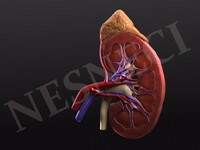 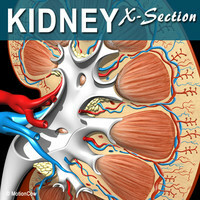 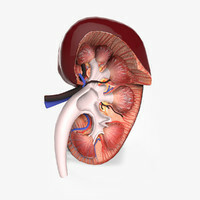 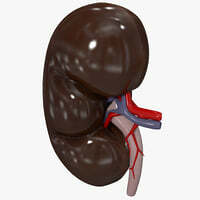 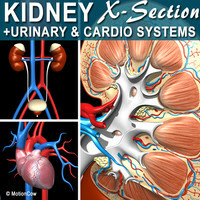 The kidneys are paired organs with several functions. 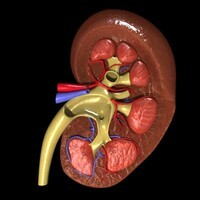 They are seen in many types of animals, including vertebrates and some invertebrates. 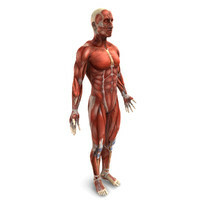 They are an essential part of the urinary system and also serve homeostatic functions such as the regulation of electrolytes, maintenance of acid-base balance, and regulation of blood pressure.